So for SEA students, especially the very poor ones who remain worried about “passing,” many who studied hard will likely get their chosen school, and those who didn’t, well, they may be surprised to know how the last could become first, how blessed they could eventually become in later life. 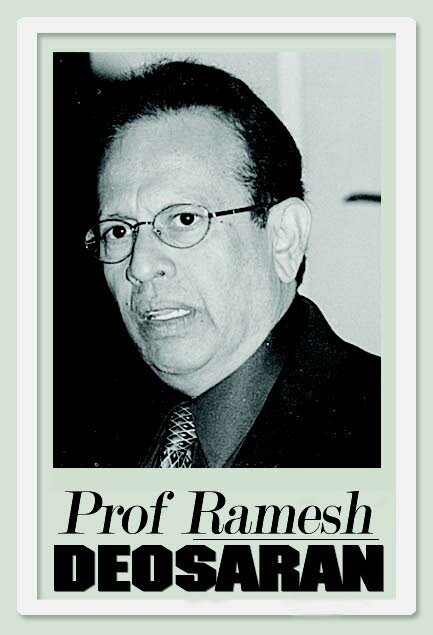 Dr Lennox Bernard, former director of UWI School of Continuing Studies, frequently asked me if people knew the very low-achieving private secondary school I attended, up San Juan hill. In fact, I was ashamed to let people know I went there. It was among the worst years of my life. To get five passes there was a miracle, happening once every two years or so. A mix-up at my primary school left me, as a very poor, single-mothered boy, unable to write then Common Entrance. This recollection was also triggered by my good friend, Michael Seales, president of the Police Social and Welfare Association (PSWA) who called last week, saying the association wanted to recommend me for a national award (he consented to this reference). 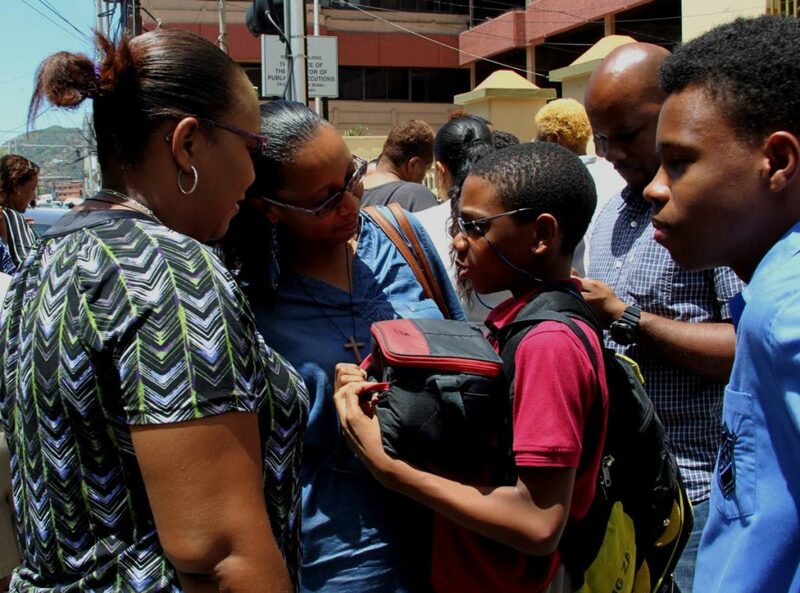 We're proud of you: Sacred Heart Boys RC student Nykolas Myrie is greeted by his mother Joanna Myrie, centre, father Troy, second from right, aunt Jenille Nicholls, left, and brother Nathan, right, after the SEA exam last Thursday. Michael had explained how he too came from a “dirty poor” home, but with prayers and blessings, struggled hard to achieve. After early disappointment, there is still a long way to go. Many who went to prestige schools unfortunately lost the will to fight on, while many who missed their choice of school revived from disappointment to become exceptionally successful in life with self-confidence. Michael is one. So too Lennox. Me too. There are thousands of Michael Seales, from poor, struggling homes, contributing daily to build this country. Mind you, the ORTT is awarded for “significant and outstanding service to the country.” Chaconia, Humming Bird medals, etc, carry virtue too. But awardees still have to line up, beg and push like anyone else. I was told these awards – ORTT, Chaconia, etc – don’t matter in TT, even for senior citizens. It’s “the party card.” Sad. Sometimes I recall Rod Stewart’s song, I Wish I Knew Then what I Know Now. Anyhow, Michael’s gracious offer sent me back to Lennox Bernard’s comment about the struggling private secondary school, saying, “Look where I came from.” From a period of early despondency, despair and shame. That’s why parents get stressed out. I am repeatedly told that prestige school or not, the vital pass for access and mobility here is the political party card. After being frustrated by the San/Juan Regional Corporation, I recently complained to four ministers – Terrence Deyalsingh, Kazim Hosein, Rohan Sinanan and Faris Al-Rawi – about a damaged corporation drain affecting my Champ Fleurs property. But it was just runaround. And note, these are all “Indian ministers,” so we must go easy on racial preference. Party card overrides race. Sad. I have none. And when I saw how party-driven help was given to others in the area, I got a civics lesson, Deyalsingh-type. Sad. Looks like certificates good, but party card better blessing. Reply to "Bless poor with party card"